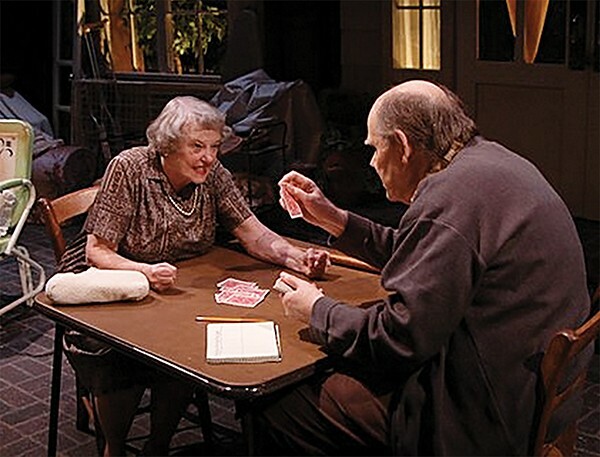 In August 2015, Jo Lynne Palmer was nominated for her devastatingly real performance as an elderly woman struggling with Alzheimer's disease in Distance, a new play by Jerre Dye and Voices of the South. She didn't receive the award, which went to Bad Jews' Laura Stracko, but every time Palmer appears on stage is a win for Memphis theatergoers. In 2011, the veteran performer suffered a stroke while singing and dancing her way through a production of The Fantasticks at Germantown Community Theatre. That unfortunate event ended happily though, with Palmer making a full recovery and returning to the stage better than ever. It also led to a joint effort by area theaters to create the Emergency Needs for the Theater Artists Community fund (ENTAC) for area thespians who find themselves facing difficult situations as a result of accidents or serious illness. Health care was a hot election-year topic when ENTAC was first created, but the Theatre Memphis-administered fund hasn't received as much attention lately. Memphis actor Ron Gordon hopes to raise the fund's profile by creating an annual awareness- and money-raising event. For his first outing, Gordon organized a silent auction and enlisted 20 area musicians to perform a concert at Neil's Music Room. Donations to the fund and for the silent auction can be dropped off at the box offices of Germantown Community Theatre, Playhouse on the Square, or Theatre Memphis.